Move It Max is a removals and clearance business started by Max after he spotted a gap in the market for a white glove service offering home removals and furniture clearance handymen. His personable and approachable team embody the trustworthy and reliable service provided by Move It Max, and this was something that Max was keen to demonstrate through his branding and online presence. Move It Max approached Foundry Digital to bring their project to life with branding and logo design, as well as website design and development and artwork for print. From the get-go, the idea was for Move It Max to be presented as more than “just another removal service”. It was important that the brand appealed to the ideal target market of individual’s and families looking for a reliable service that they could trust to relocate their personal possessions without having to worry about whether everything would arrive in one piece and on time. 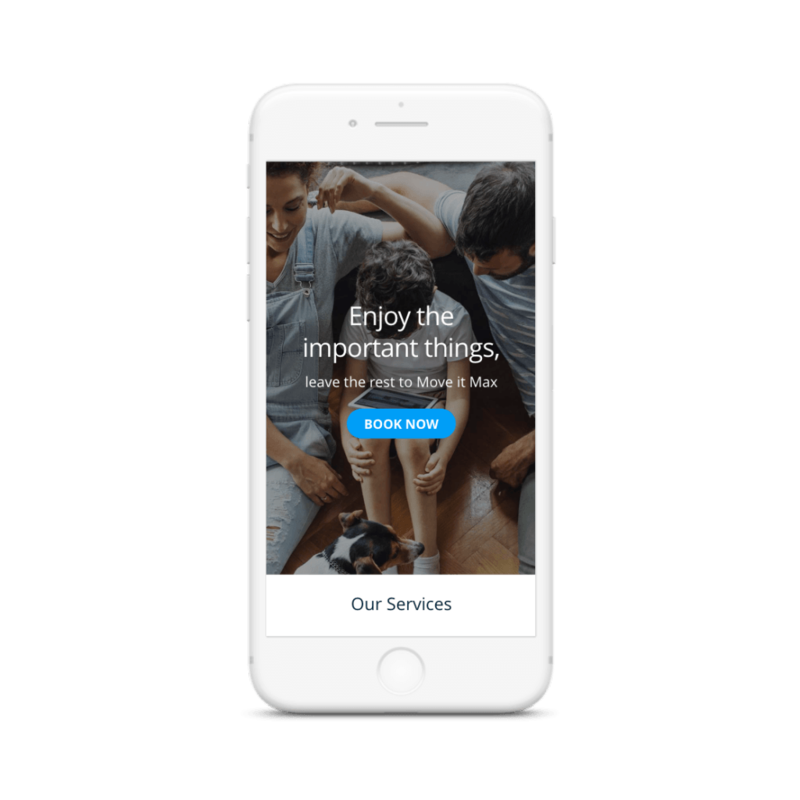 Creating an online presence for Move It Max centred around the goal of presenting the company with a strong human element that automatically instills a level of trust in Max, his team and the services they offer. Our designers took the time to understand Move It Max’s target market, gaining in-depth knowledge of what would appeal to them and garner their trust in a logo. This research helped to inform the creative process that led to the design of the company’s logo. As well as this, creating a website with a layout that was simple and user-friendly was a key element of the design and development process. 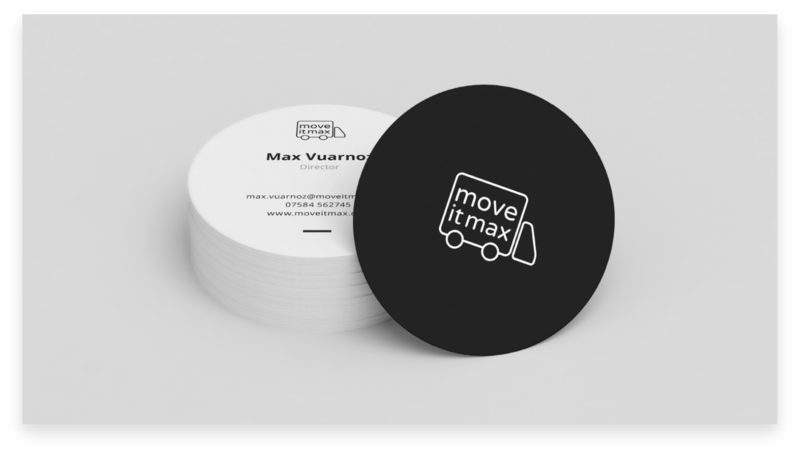 Combined with designs for promotional artwork and Move It Max was ready to take on the removals service industry. Using a minimal but sleek design achieves a logo that reflects the high-standard of professionalism delivered by Max and his team, whilst simultaneously portraying their personable and approachable nature. The different services offered by the company are clearly displayed, with explanations as to what customers can expect from the team should they opt for that type of service. Pricing options are available with full details provided in a clear and concise layout, accompanied by multiple call-to-action buttons which allow visitors to get in touch with the team to enquire about a booking. Further trust in Move It Max is encouraged by the opportunity for site visitors to browse and read reviews left by previous customers, demonstrating their trustworthy nature as a removals service. Business cards are the cherry on top of this project, enabling the Move It Max brand to extend from the screen onto the page.